The Mississippi Medallion program was established in 1996 by the Mississippi Nursery and Landscape Association (MNLA) to increase awareness of plant materials and to promote sales and production of ornamental plants in Mississippi. Compared to national campaigns such as All-America Selections and Perennial Plant of the Year, the Mississippi Medallion program focuses on plants adapted to the environment in Mississippi to benefit both consumers and the green industry. This publication gives an introduction to the 2015 Mississippi Medallion Plants and is part of a series of publications that promote awareness of these plants. For gardeners—A nice option for container gardens or hanging baskets is the Top Pot fan flower (Scaevola aemula ‘Top Pot’). This warm-season annual will spread to approximately 2 feet wide, cascading over the sides of its container for an elegant effect. Top Pot fan flower is drought tolerant and great for full sun. Once it warms up, it will flower until the first frost. Available flower colors include blue, pink, and white. Go crazy and purchase all three for an eye-popping mass of color. For growers—Plant one plant per 4-inch pot (from rooted cutting; ready for sales within 7 to 8 weeks); one to two plants per 6-inch pot (ready in 8 to 10 weeks); or three to four plants for 10-inch hanging baskets or pots (ready in 10 to 13 weeks). Pinch once at liner planting. Maintain high light during production and maintain temperature at 64 to 80 degrees during the day and 55 to 64 degrees at night. Fertilize with constant feed (150–200 ppm N) of a balanced fertilizer, including micronutrients and a slightly increased level of iron. Use a well-drained peat/perlite mix with a pH of 5.5 to 6.0 and an EC of 0.6 to 0.9. Maintain moderate moisture levels. Watch for white flies, thrips, and leaf miners. There are no apparent disease problems if standard sanitation practices are followed. For gardeners—This Medallion-winning daylily has big, red flowers with yellow throats and has the potential to bloom from May through August. This daylily shows good resistance to daylily rust. To plant, remove from the container, gently loosen the root ball, and place in a hole no deeper than the container it was growing in. Grow in full sun (at least 6 hours per day) for best flowering, and keep the soil moisture consistent. Daylilies should be divided every few years in the spring or fall. For growers—Plant one- or two-crown bare-root plants into 1-gallon containers with the crown slightly below the container media surface in late summer to early fall for the best flower production and sales the following spring. Maintain media pH in the 6.2 to 6.7 range. Maintain nutrition with water-soluble fertilizer (75 ppm N every irrigation or 200 ppm N twice weekly) or by top-dressing with a balanced, controlled-release fertilizer using the product’s suggested medium application rate. For gardeners—Delta Jazz produces clusters of brilliant pink flowers and contrasting burgundy maroon leaves during the summer. The foliage has good fall color. Landscape growth is expected to be 6 to 10 feet tall and 4 to 5 feet wide. Delta Jazz has the potential to be an extremely effective landscape focal point or accent plant. This is a small, deciduous tree that is well suited to growing across Mississippi in USDA hardiness zones 7 through 10. Trials have demonstrated hardiness down to 0 degrees. Delta Jazz will be drought tolerant after establishment with supplemental irrigation as needed. Always plant in well-drained soil, and fertilize lightly in the early spring. Prune after flowering to early spring to shape and maintain desired size. For growers—Plant liners into well-drained container mix. Maintain media pH in the 6.2 to 6.7 range. Top-dress with a balanced, controlled-release fertilizer, using the product’s suggested medium application rate. Pests to watch for include crape myrtle aphids, Florida wax scale, and crape myrtle bark scale. The major disease problems are powdery mildew and Cercospora leaf spot. Powdery mildew problems can be avoided by providing full sun conditions and removing basal suckers. Both diseases can also be alleviated by providing good air circulation and avoiding overcrowding plants. 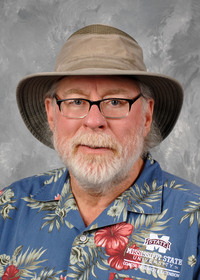 By Dr. Gary R. Bachman, Associate Extension/Research Professor, Coastal Research and Extension Center, and Dr. Geoffrey C. Denny, Assistant Extension Professor, Plant and Soil Sciences. Photos by Dr. Gary R. Bachman.